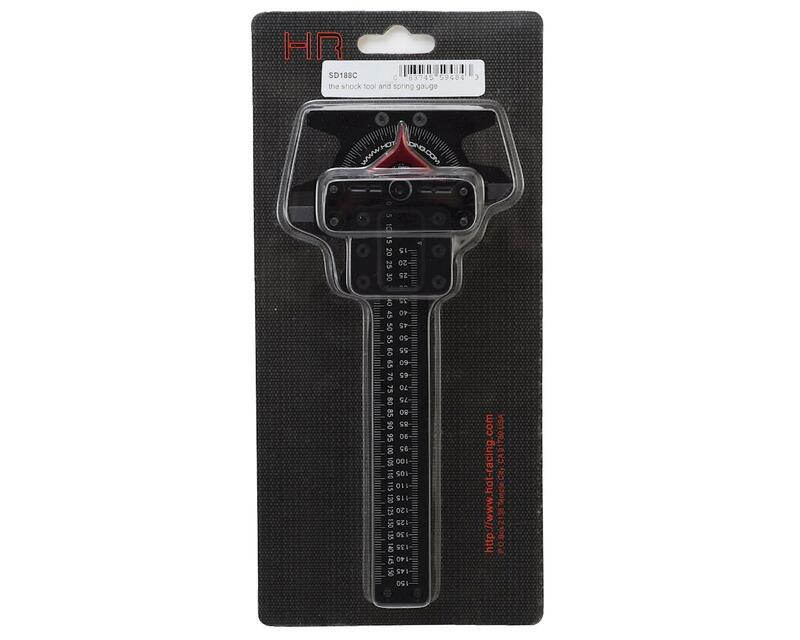 The Hot Racing Shock Tool & Spring Gauge is CNC machined from 6061 aluminum with a laser-etched measuring scale on the face. 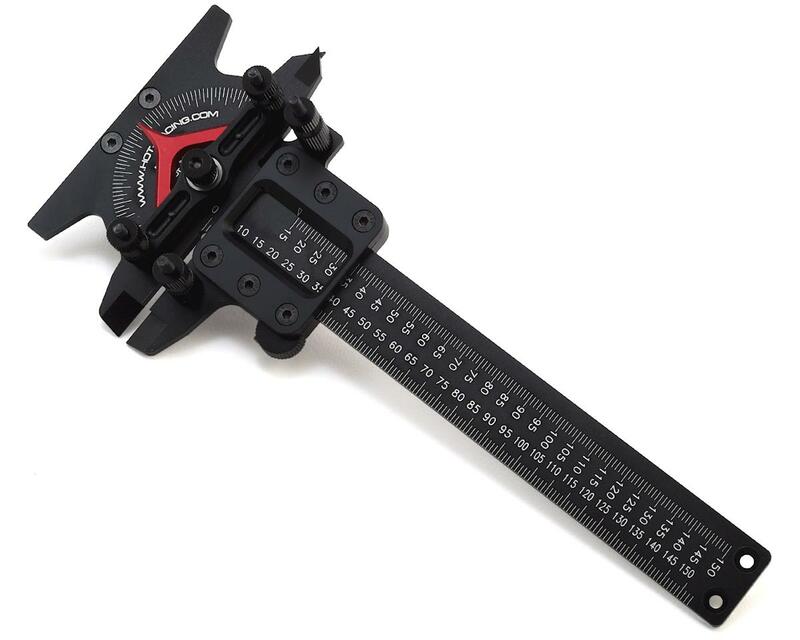 The pivoting gauge on the bottom of the tool is ball bearing supported for maximum precision. Simply mount the shock and move the slider bar to the extended position, then slowly push it in to the compressed position. The pointer will graphically displace any variances and you will be able to address them as necessary.